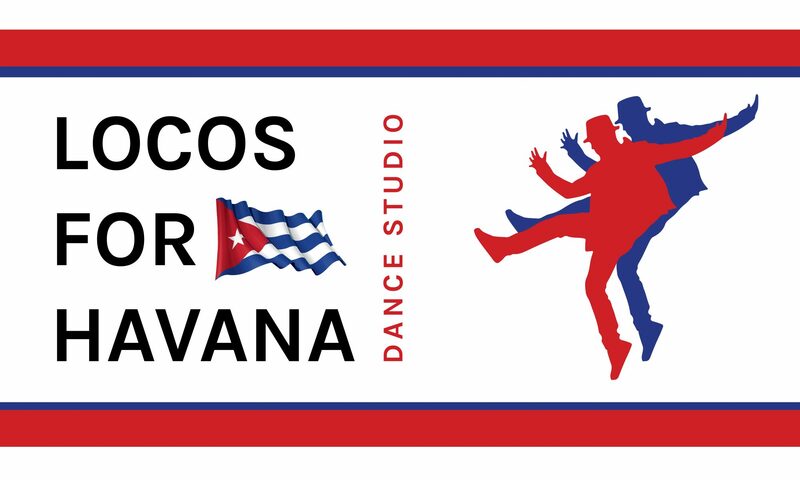 Welcome to LOCOS FOR HAVANA DANCE STUDIO where you can learn to dance all styles of Cuban social and folkloric dance, Latin, and Jazz from a professionally trained dancer, performer, instructor, and choreographer. Lessons are available for all those who wish to dance from beginner to advanced levels. Contact Ahmed today to book a lesson at your earliest convenience. Private lessons, group lessons, training and performance courses available. Ahmed F. Hodelin, known as “El Bailarín”, arrived from Cuba to enrich Canadians with his Cuban culture. He graduated from the National School of Art in Havana where he specialized in dance (both contemporary and folkloric styles). Following this, he spent nine years dancing with the National Ballet Folkloric Company of Cuba, where he learned and later taught several styles of AfroCuban rhythms; such as, Contradanza, Danza, Danzon, Rumba, Santería, Mambo, Cha cha cha, Son, Mozambique, Pilón, Dengue, Congo, Abakua, Comparsa, Arara, Salsa Casino, Salsa Casino Rueda and more. In addition to being a professional dancer, he studied at the conservatory of music ‘Felix Varela’ where he became a professional musician as a percussionist and drummer. He was invited to teach in Canada for Decidedly Jazz Danceworks (DJD), an internationally recognized Jazz company in Calgary, Alberta. He was then offered a full-time contract as a dancer, performer, instructor, and choreographer for DJD where he spent 7 years of consecutive training in Jazz, Tap and Swing. Currently he is the Director of his own Cuban Dance Project called “Locos for Havana Dance Studio (formerly known as El Bailarin), where he is developing a fusion of both music and dance between Afro-Cuban, Jazz, Swing, Hip Hop, and various Latin rhythms. He has performed and shared the stage with several local musicians and performing artists in Calgary, Edmonton and Vancouver, and with great Latin international artists such as ‘Oscar de Leon’ from Venezuela, ‘Fulanito’ from N.Y., and “Grupo Niche” from Colombia. Currently, Ahmed F. Hodelin – “El bailarín” – is composing his own original music and arrangements. His inspiration as a professional musician and composer originated from his experience as a professional dancer. Ahmed is the only professionally trained Cuban dancer, choreographer, musician and performer in Calgary, Alberta, providing him the ability to mix dance and music together on stage, creating a unique performance and concert atmosphere. He is enthusiastic to work with individuals, couples, and groups of all levels to develop their ability to dance socially or professionally. He is available for private lessons, group training, choreography, and performances. Contact him today! Learn how to dance all authentic Cuban styles with Locos for Havana Cuban Dance Studio! Mambo, Chachacha, Danza, Danzon and Son were the first Salsa styles to ever exist. These styles developed as traditional Cuban genres and were danced throughout Cuba in the 1920’s. They hit the United State by storm with this first world track hit “Echale Salsita” composed by Septet Ignasio Pinairo in 1930’s and recorded by Victor Records. Other Cuban genres such as Rumba, Mambo, and Chachacha to name a few arrived in 1950’s with Cubans and Latinos playing music in New York in the 1970’s, the fusion of steps were nicknamed salsa. The origins of the name Casino are from Casinos Deportivos, which were essentially dance halls where a lot of social dancing was done among the well off, white Cubans during the mid-20th century and onwards. Historically, Casino traces its origin as a partner dance from Cuban Son fused with partner figures and turns adopted In Cuba. This popular dance, now known as Casino, was marketed abroad as Cuban-style salsa or Salsa Cubana. This is another great Cuban dance style invented by local Cuban Dancers, between towns. In Havana each dance team used to gather with large numbers of couples. Each team with one leader referred to as the “Caller” who would shout out names of choreographed moves well known and practiced by each of these competitive couples. This style is danced in a circle and involves rotating partners, lots of turns with unexpected tricks. During the dance, dancers often break apart from each other during percussion solos and perform, an advanced form of styling in which the male and female partner get physically close and tease each other without touching through the gyrating of hips and shoulders while performing muscle isolations. Ahmed F. Hodelin, Director of Locos for Havana Dance Studio, will be performing on Saturday, August 19th at Expo Latino at 6:30PM as part of the Salsa Show Case. He’s going to share the stage for the first time with “Indhira Castillo” to deliver a piece of his new style he’s been working on, named “Salon” or “Mambo Salon” which is a speedier and spicier version of some of the traditional cuban moves from well known dance styles of the 50s. This new fast Cuban style he’s created is a mix of foot patterns taken from two Rumba de Salon & Mambo. He’s added a faster foot pattern to this style for couples as both Mambo and Rumba have been danced separately or loosely side by side. Don’t miss out on this new style as it may be something you wish to learn and add to your collection of dance styles! Ahmed known as “El Bailarin” wants to push these popular Cuban dance styles to another level and hopes to inspire you through this dance performance. An exploration of karma through dance, Backatcha uses many types of music and movement to illustrate the relationship between actions and reactions. Jonathan Lewis in the violin, Jorge Villena in the guitar, Ahmed Hodelin percussions and Silvia Temis vocals. Music and musical arrangements by Jorge Villena and Jonathan Lewis. “Magnetic Consequences”, the latest creation from Decidedly Jazz Danceworks (DJD), presents an exhilarating collaboration featuring nine dancers, four jazz musicians, and the emotive vocals of guest singer Jackie Richardson. In addition to his dance and music career, El bailarin was the Director of an annual prestigious event for Calgary, previously called the” Latin Jazz Festival”, now under a new name and purpose called the “Music Project” Concert featuring original live Latin music performances. The “Music Project” Concert incorporates the roots of Mambo, Rumba, Cha-cha-cha, Son Montuno, and Danzón which were created and composed in Cuba. Back then, these rhythms were introduced to Americans and they were well studied and embraced in many parts of the world. Cuba is known for its integral contribution to the world of music and the arts. The history of Latin-Jazz began when it was born back when traditional folkloric Cuban rhythms were mixed with Jazz. At that moment in time, the genre was known as “Cu-Bop” and assumed the nick name “Afro-Cuban-Jazz”. This occurred when Cubans began to immigrate to America and Americans began to visit Cuba. As this rhythm became more popular, other Latin musicians began to play this music in the United States and it is at this point when the old genre changed to the name “Latin-Jazz”. “El bailarin” was also the Director of two production bands of professional musicians called the “LITTLE HABANA BAND” & “APPLE BLOSSOM BAND” project that played as a trio, quartet, and quintet up to 11 peace and incorporates additional band members when invited to perform for venues and events, such as corporate functions, weddings, private parties, theatre productions and festivals. They enjoyed playing all types of Latin music such as, Urban, Jazz, Charleston, swing, Bossa Nova, Samba, Afro-Cuban, Son, Boleros, Salsa, Merengue, Cumbia, Mambo, Rumba and Descargas. The band members originated from different parts of the world and and took the opportunity to import their “Latin Culture” into Canada.